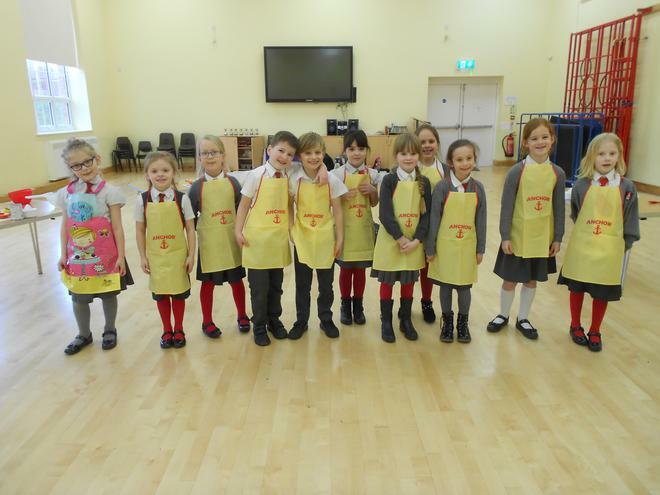 Welcome to Cooking Club 2018. 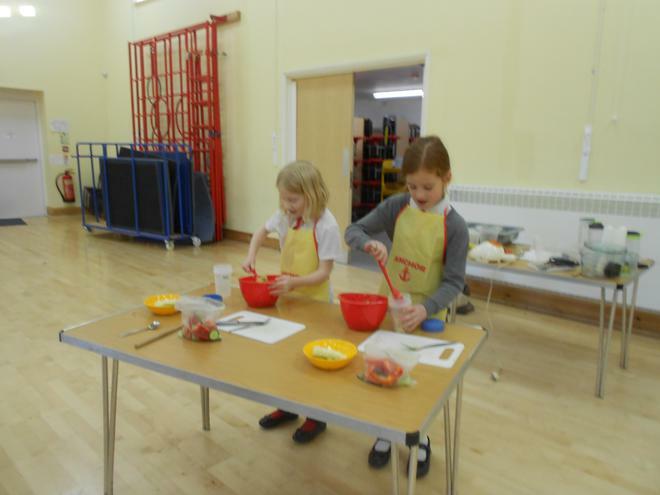 Cooking club got off to a great start this year. 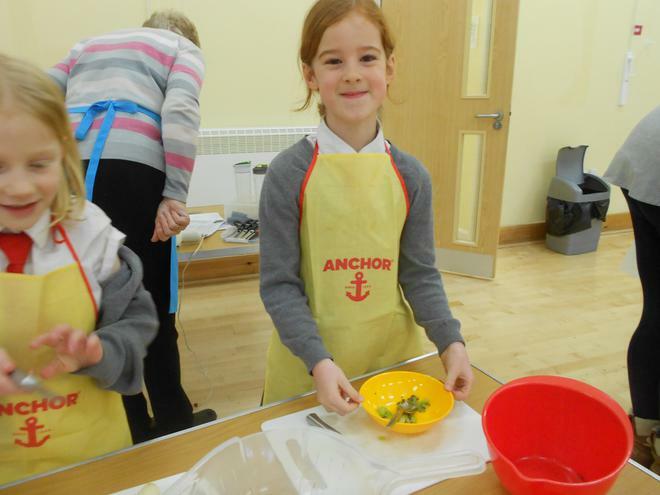 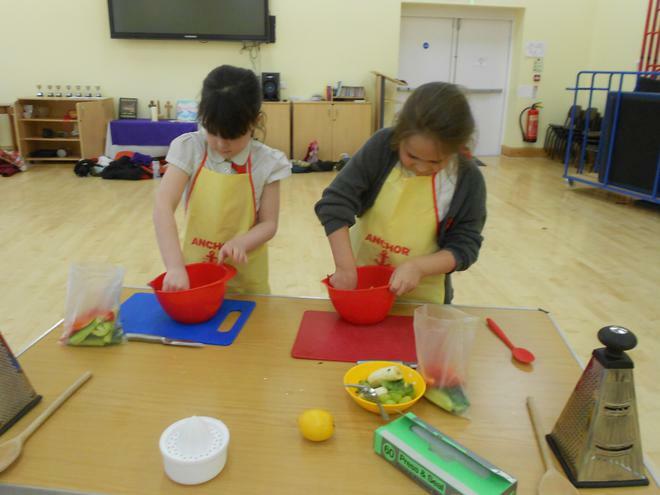 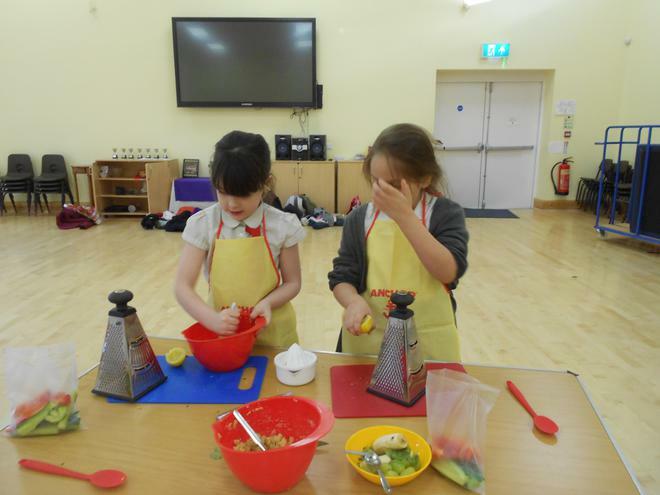 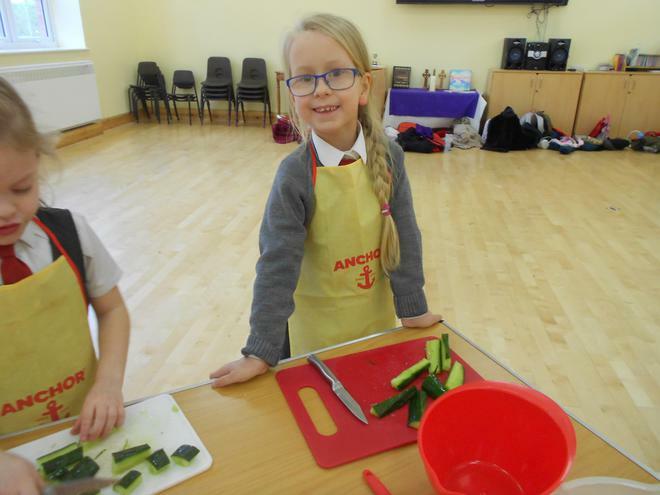 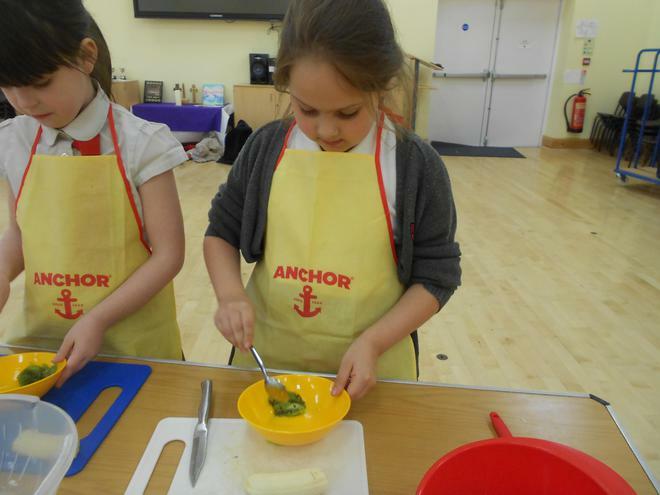 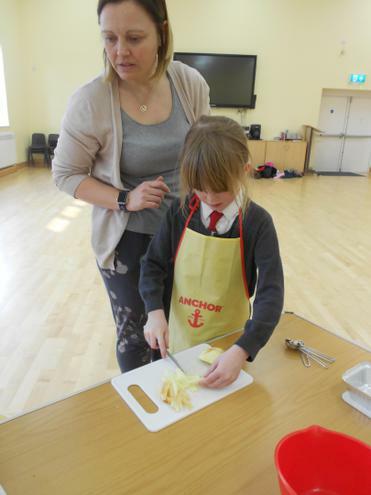 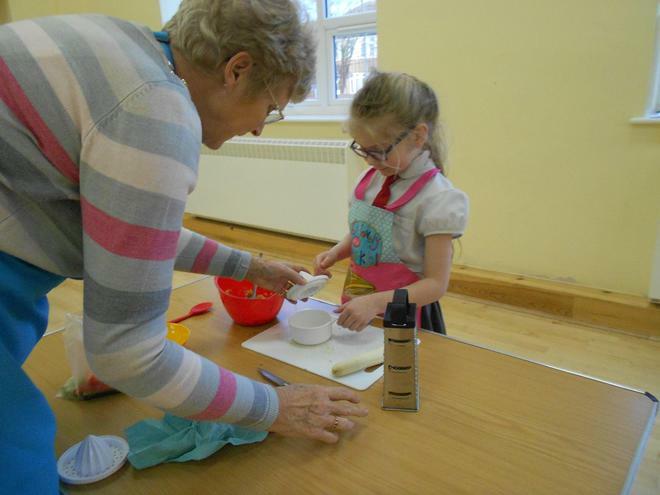 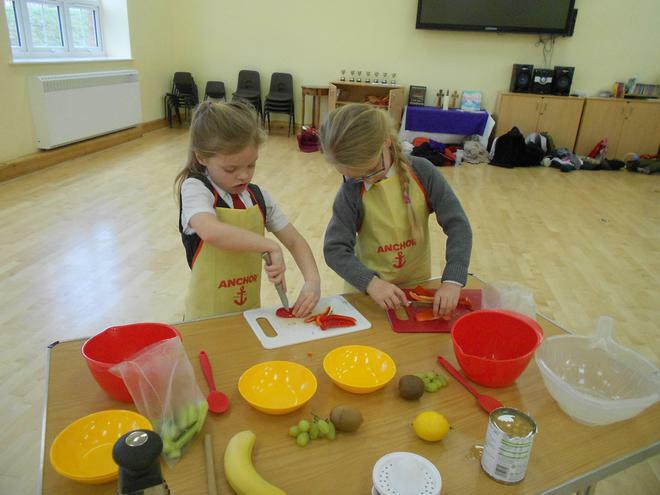 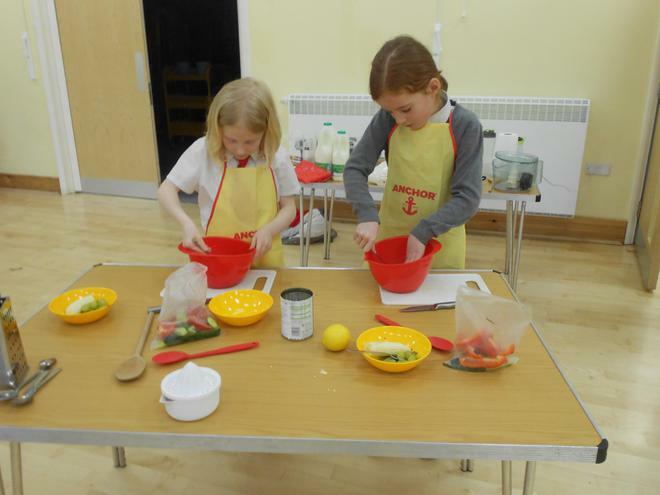 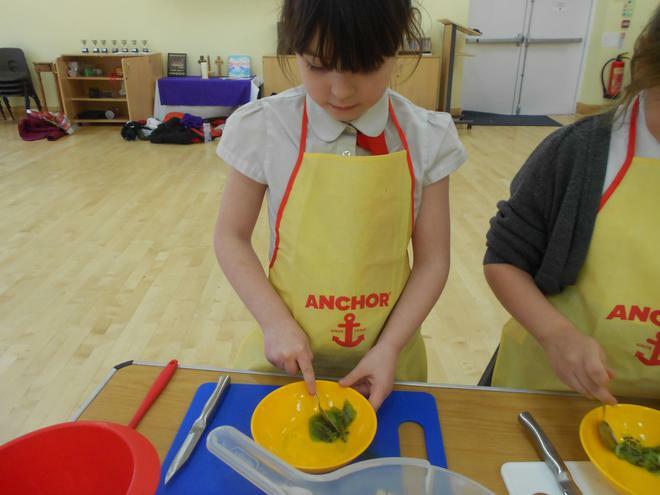 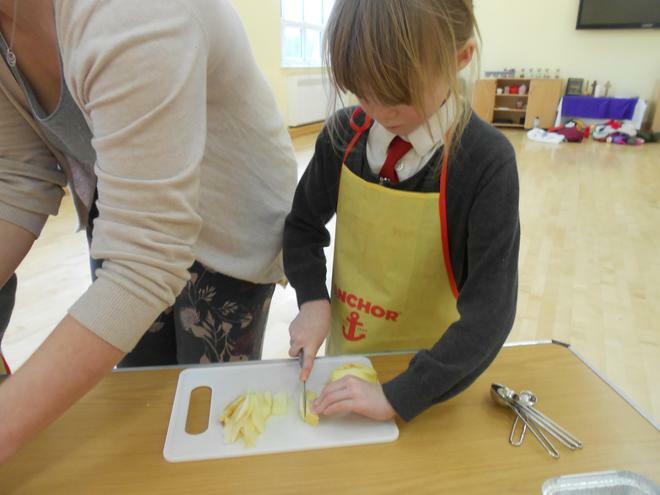 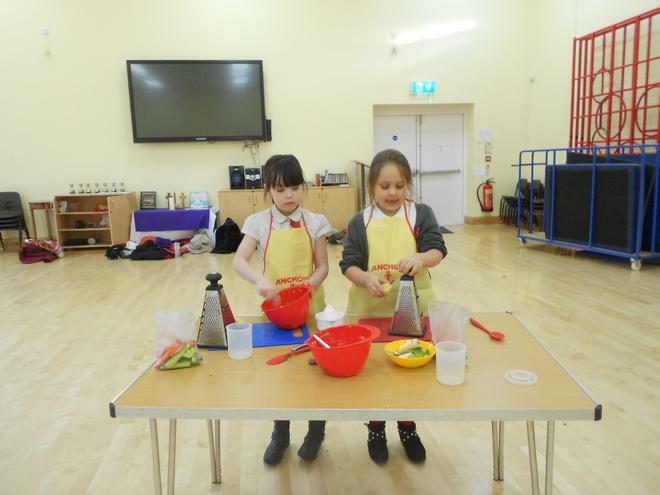 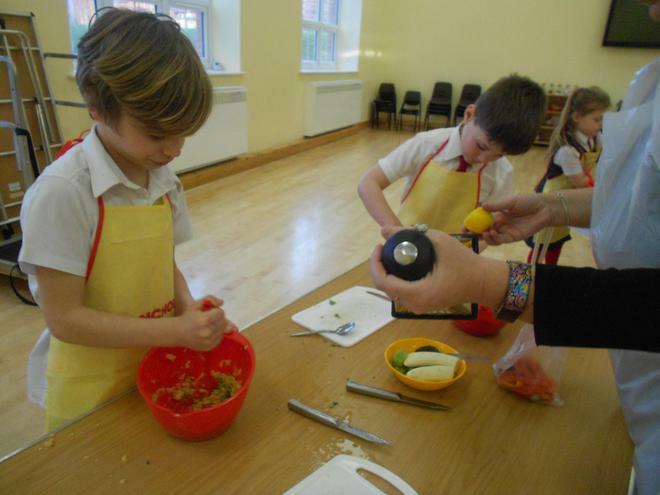 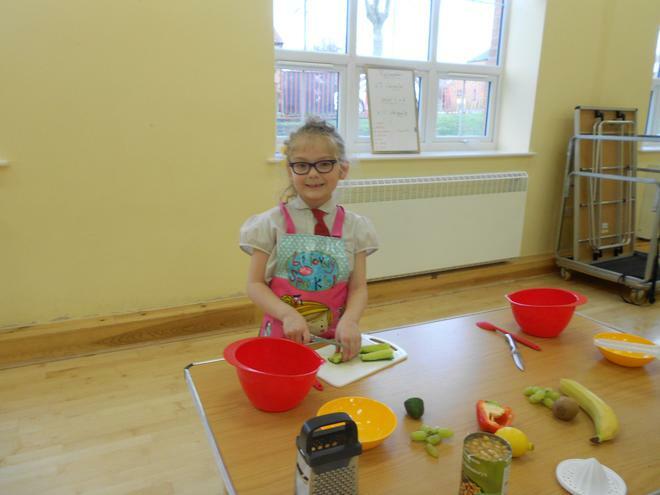 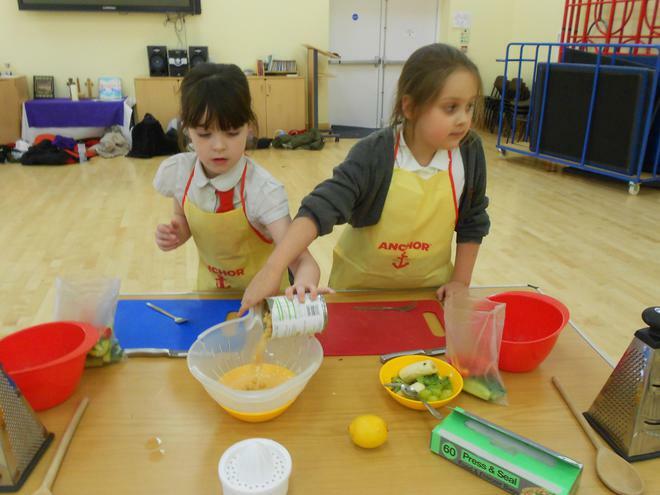 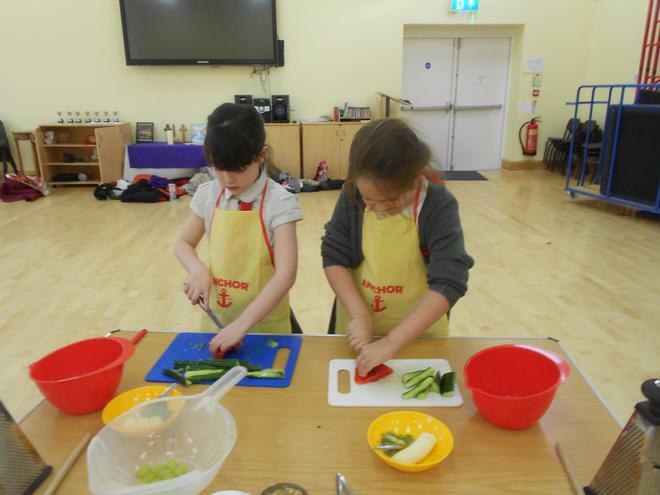 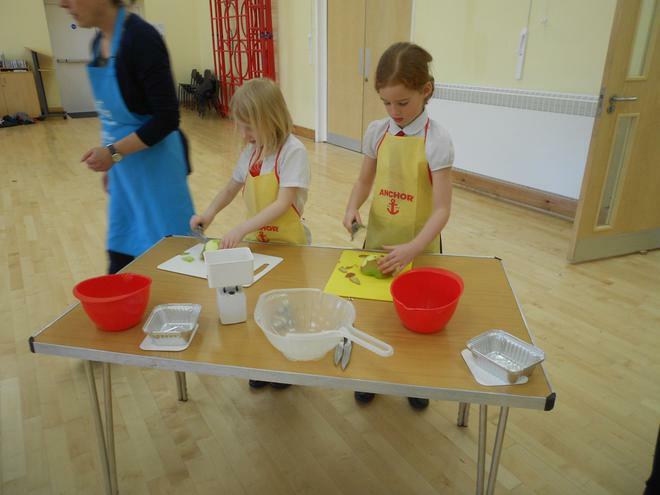 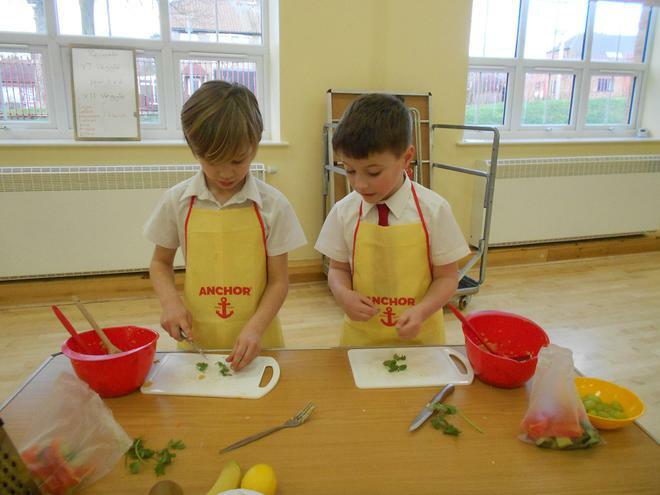 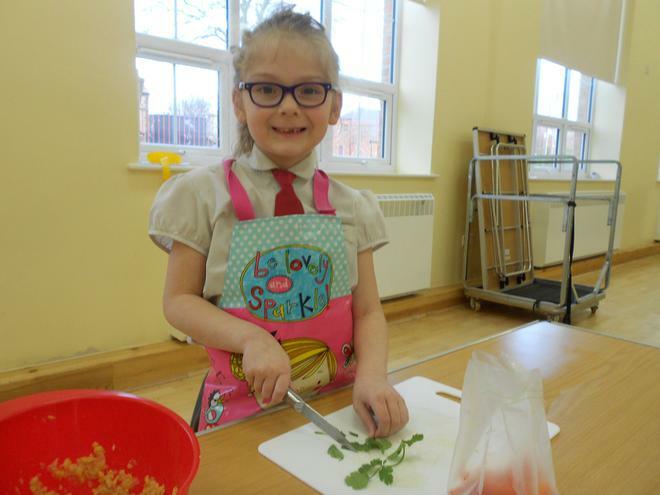 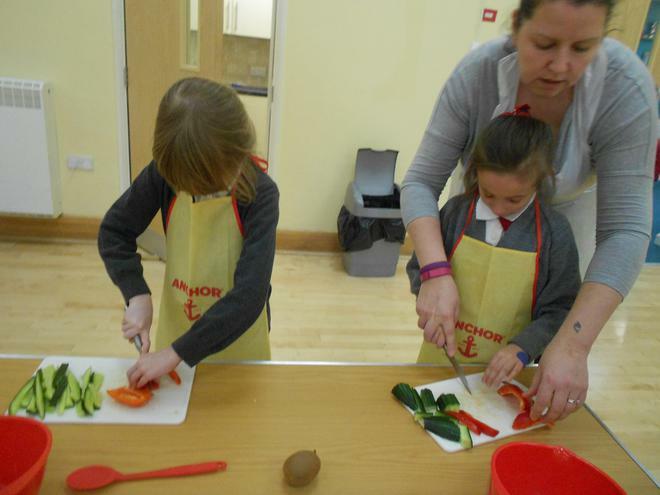 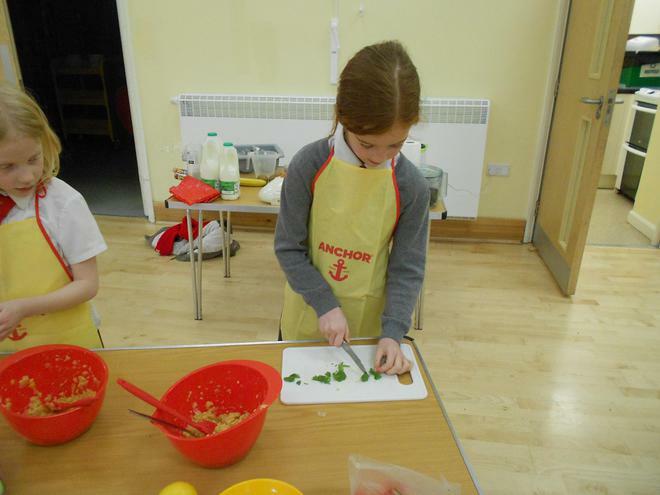 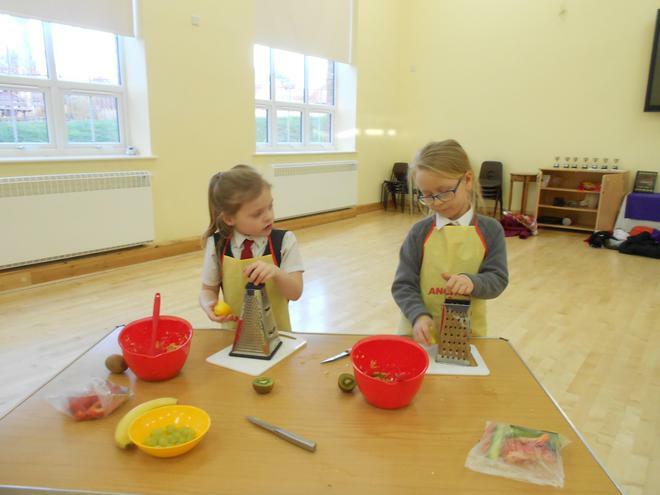 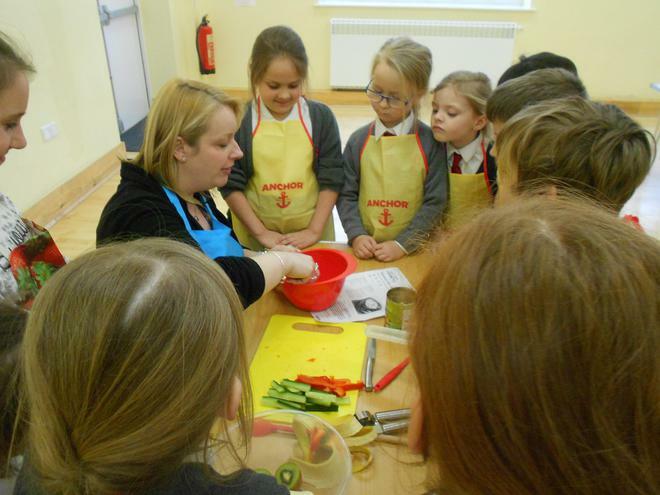 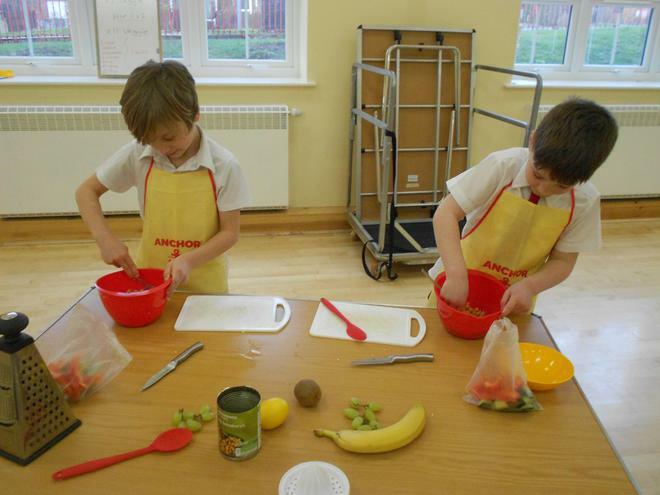 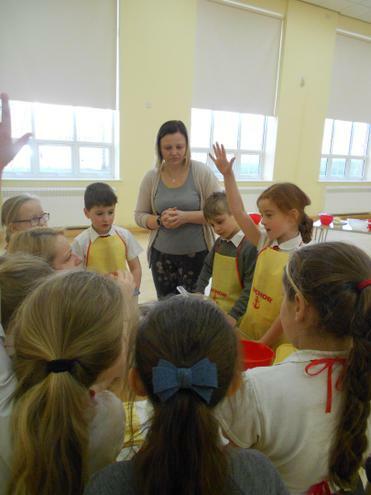 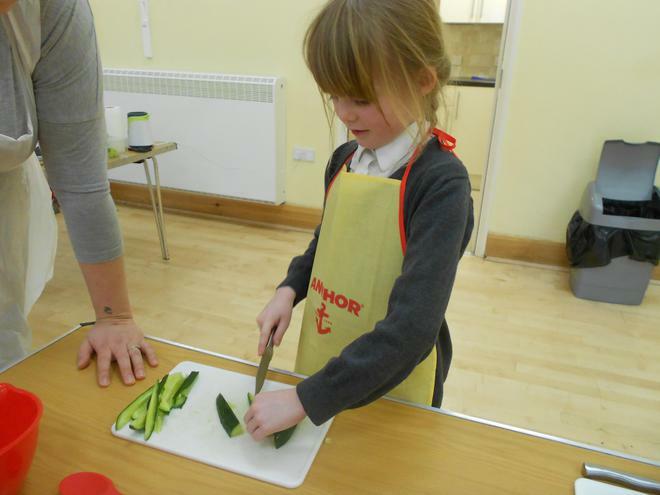 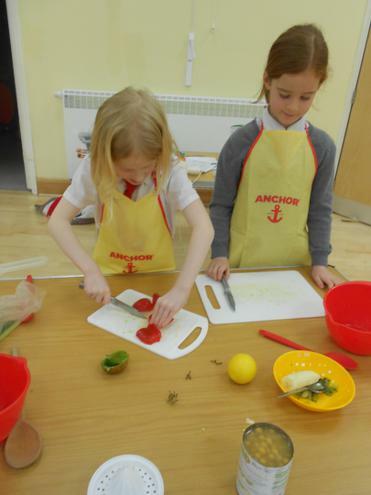 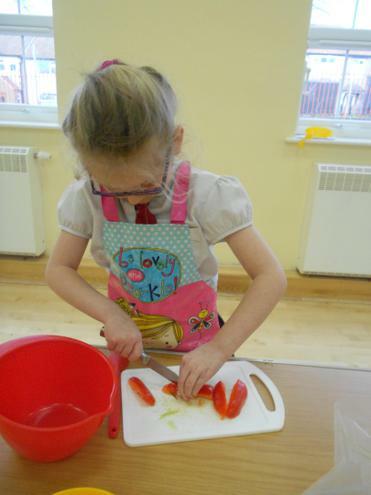 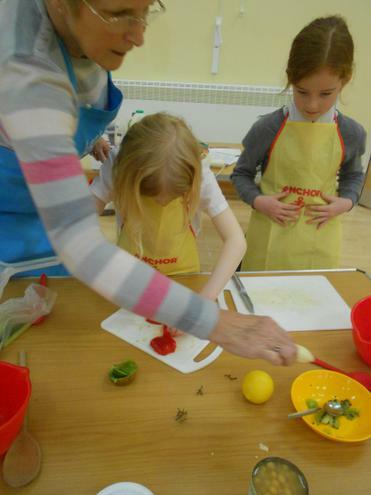 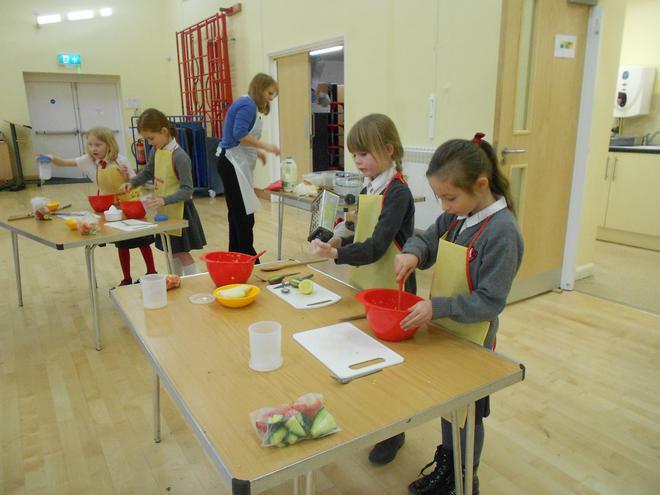 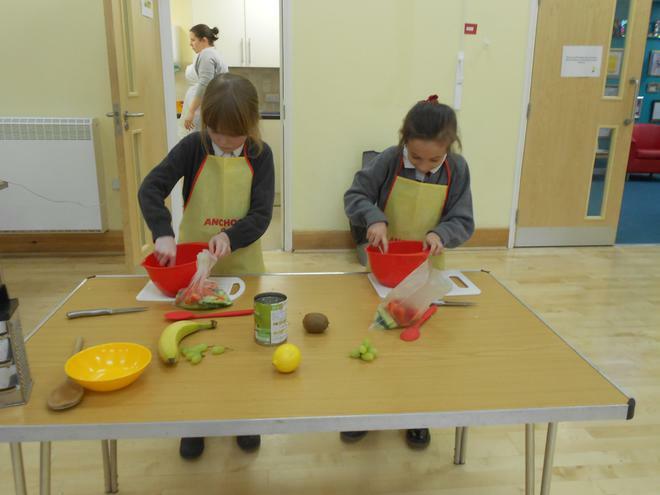 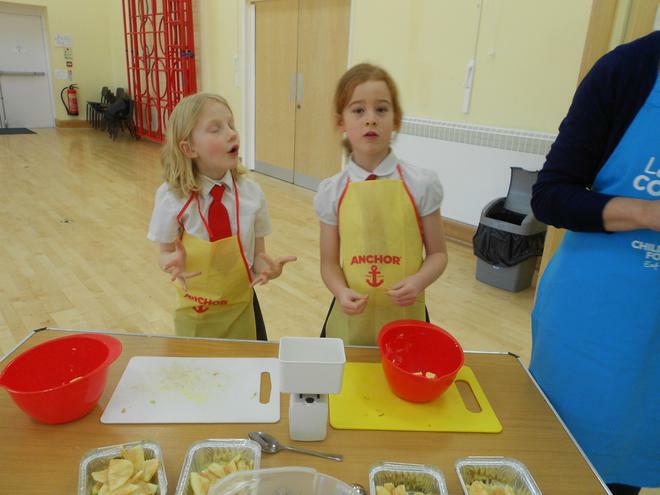 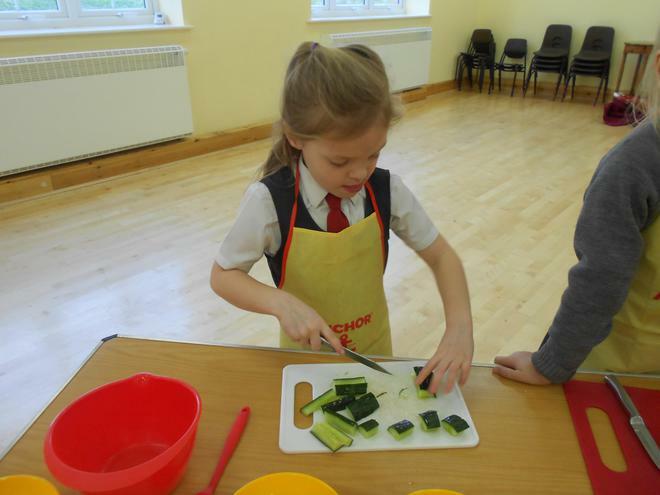 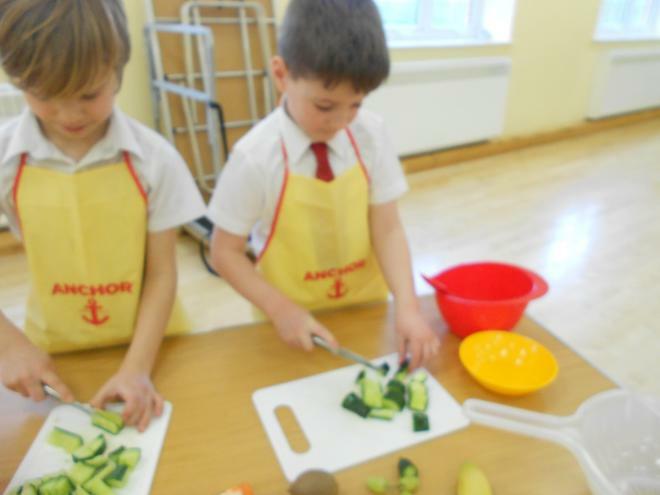 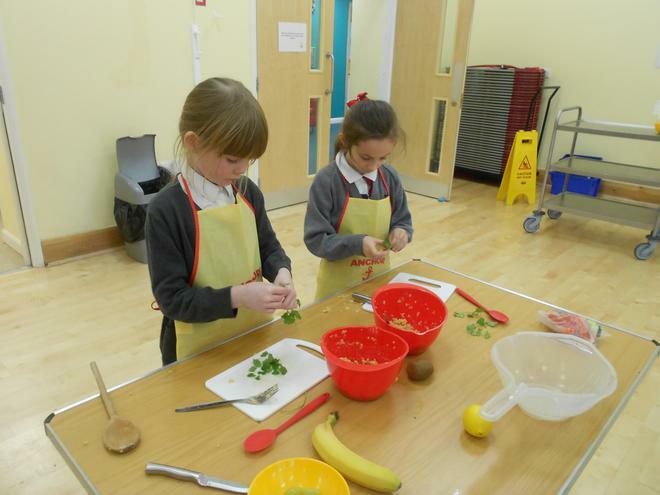 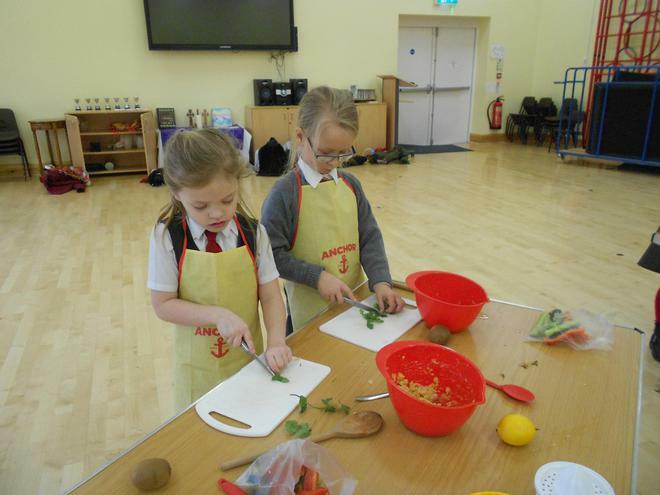 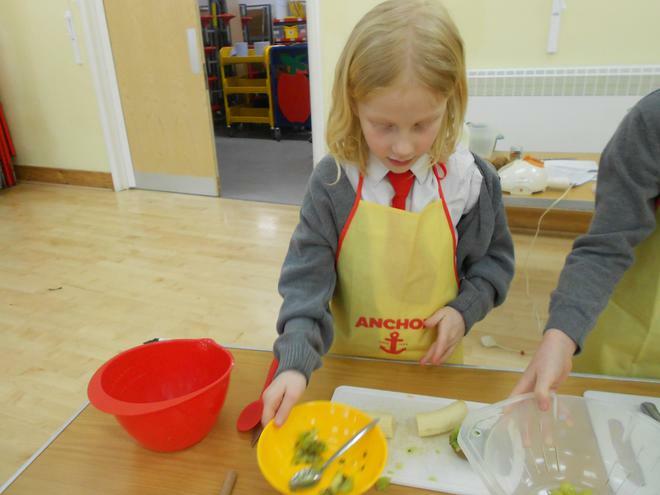 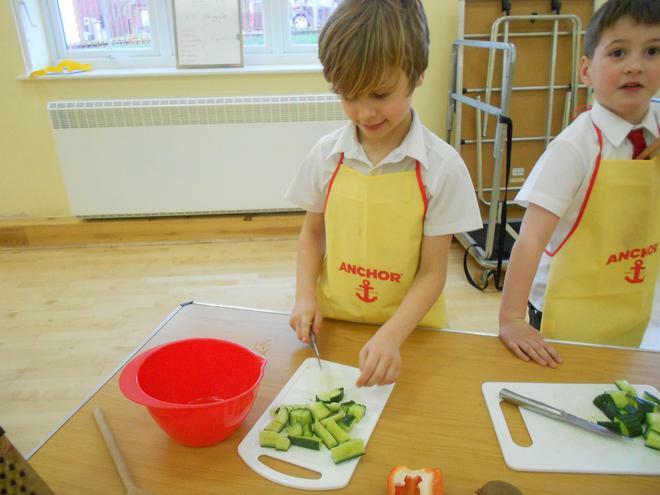 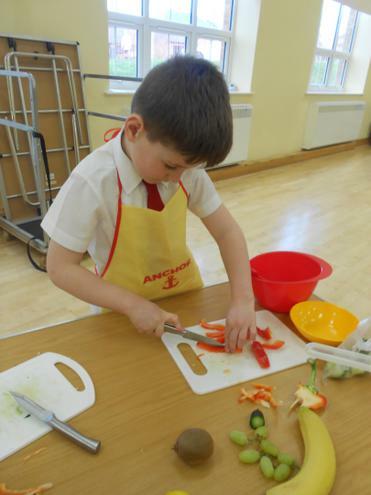 The children were given the challenge of making hummus with pepper and cucumber crudite. 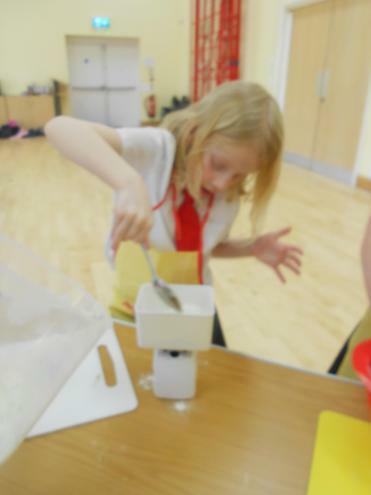 We were quite cruel and didn't use a blender so the children did it all by hand. 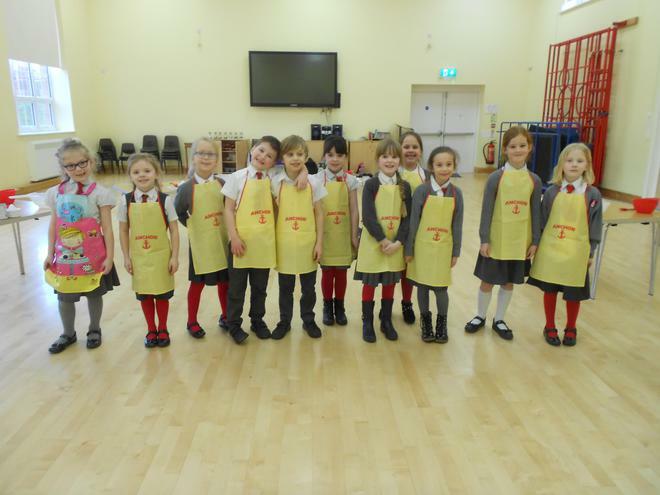 It was quite a challenge and a lot of hard work but they all did a really great job. 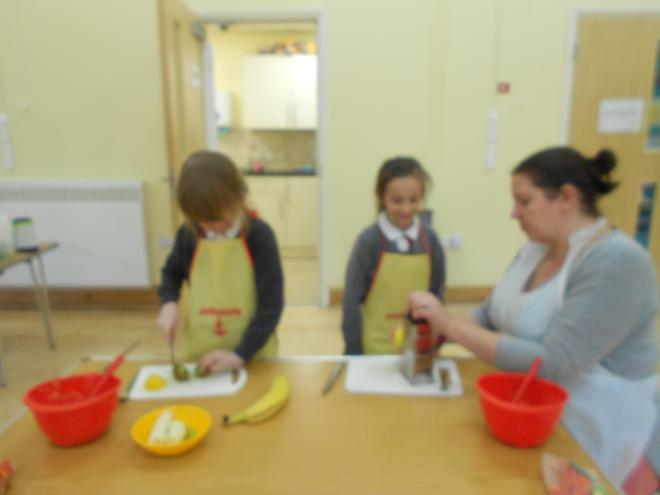 Have a look at our photos to see us at work. 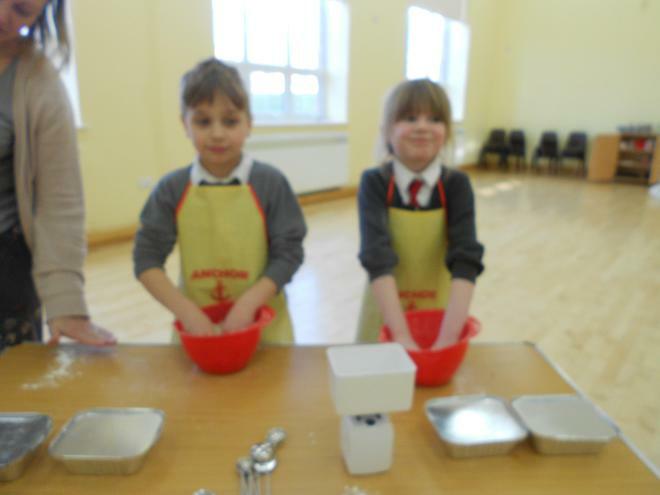 Here we are hard at work. 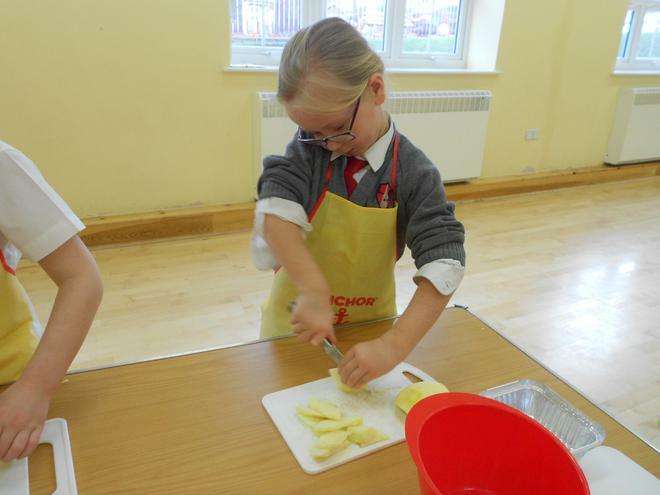 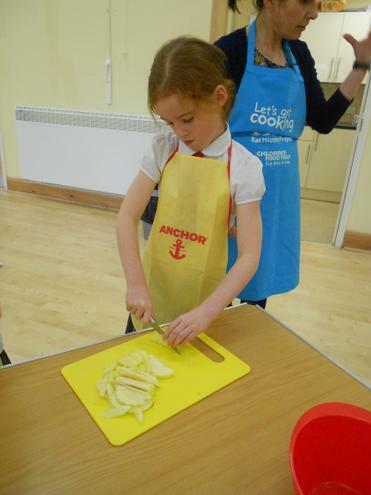 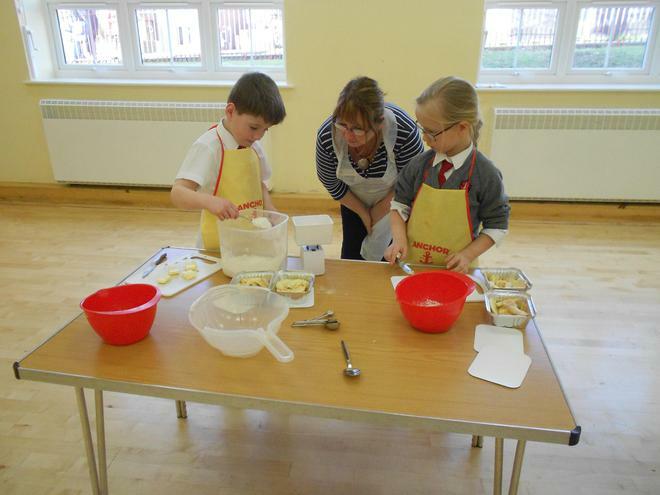 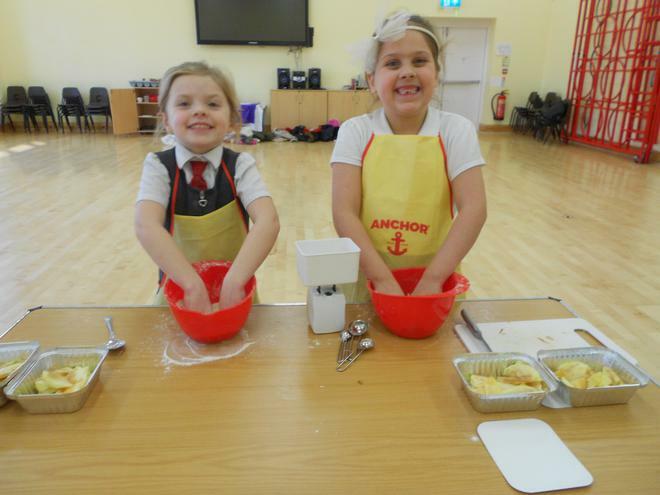 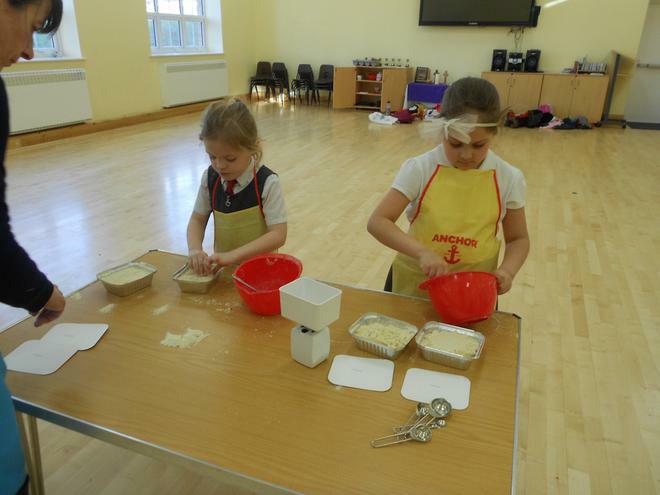 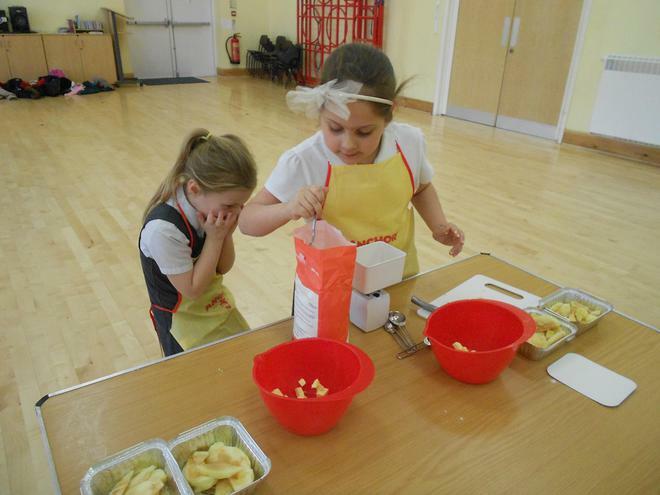 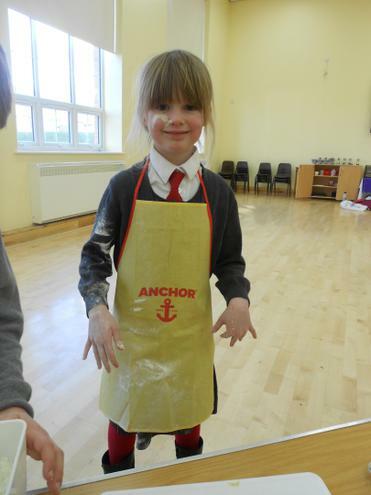 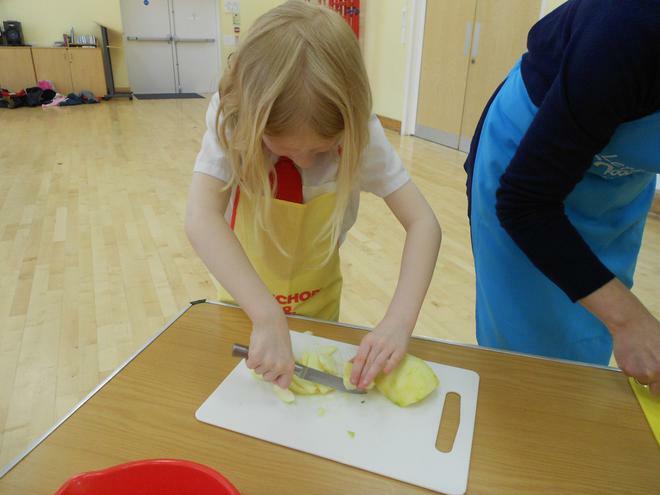 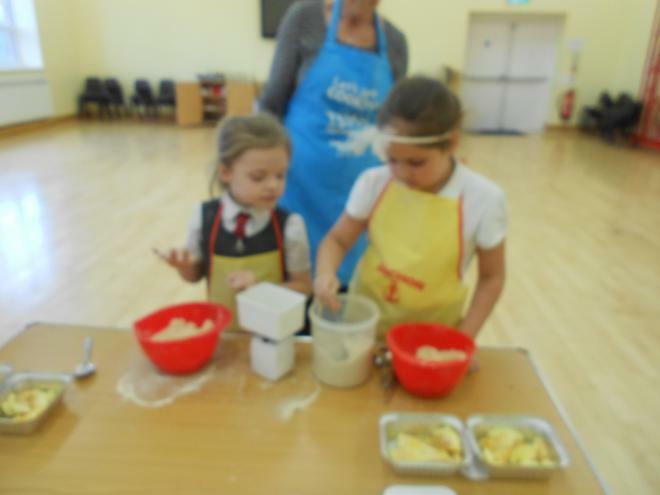 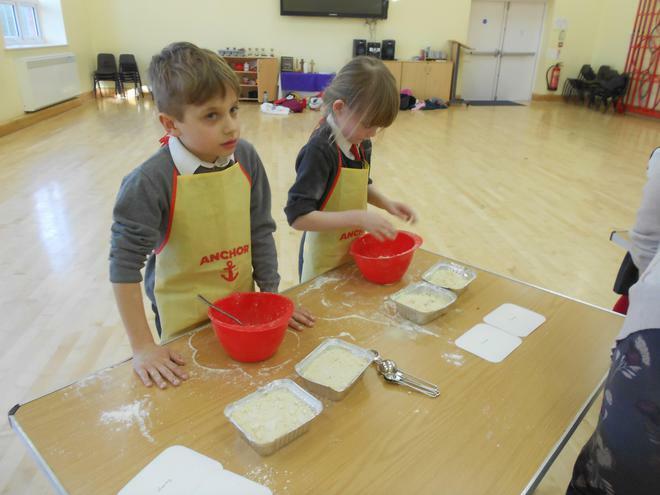 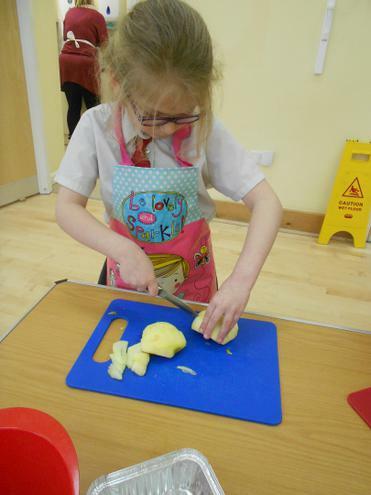 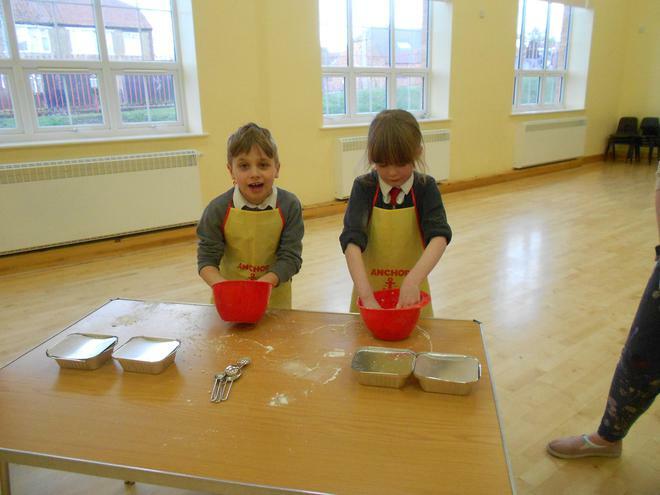 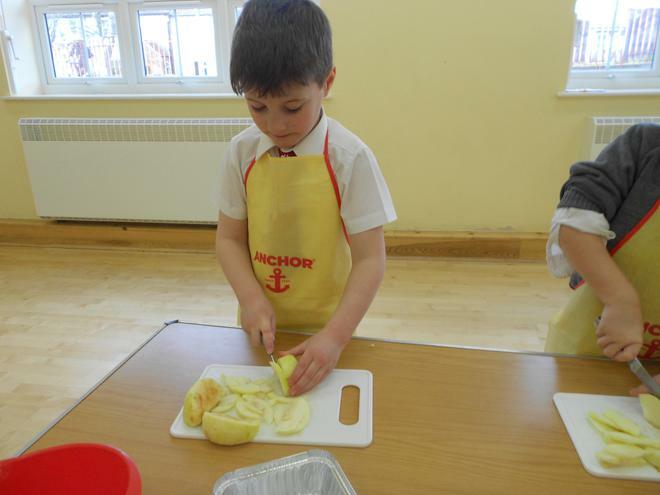 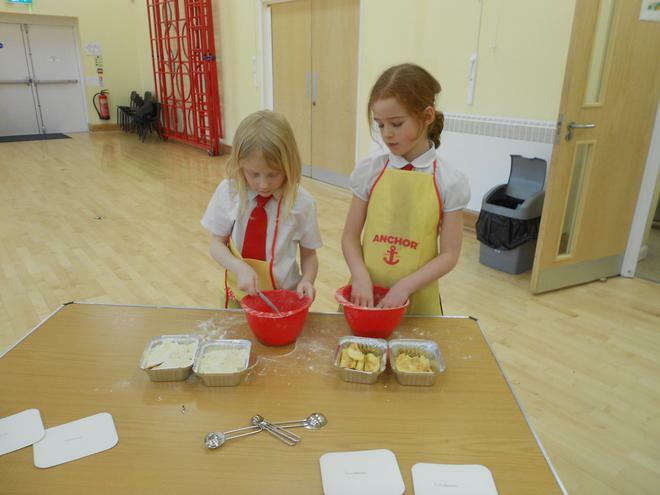 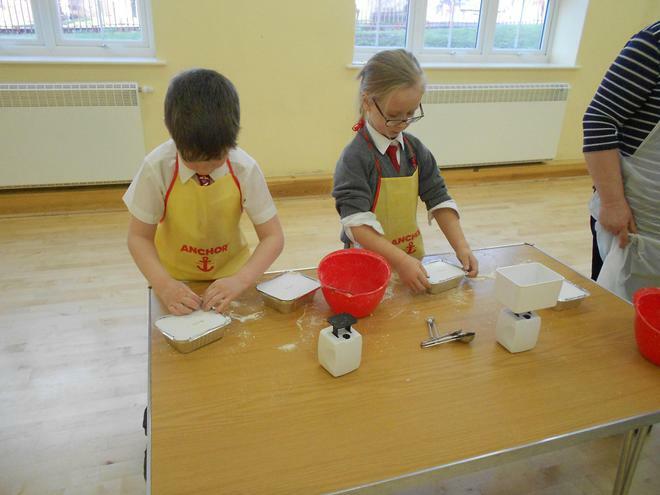 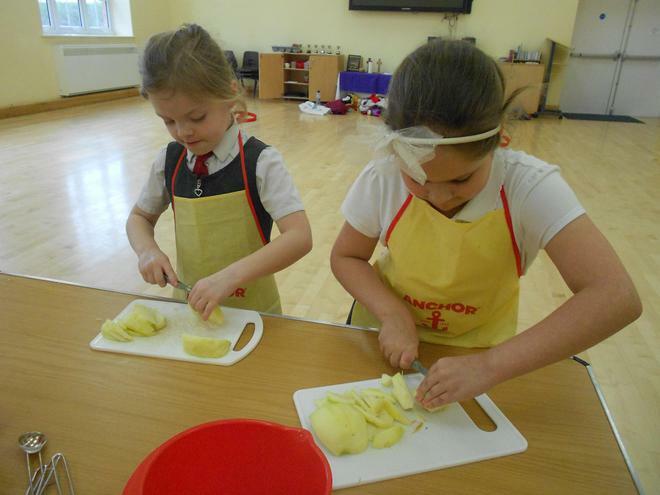 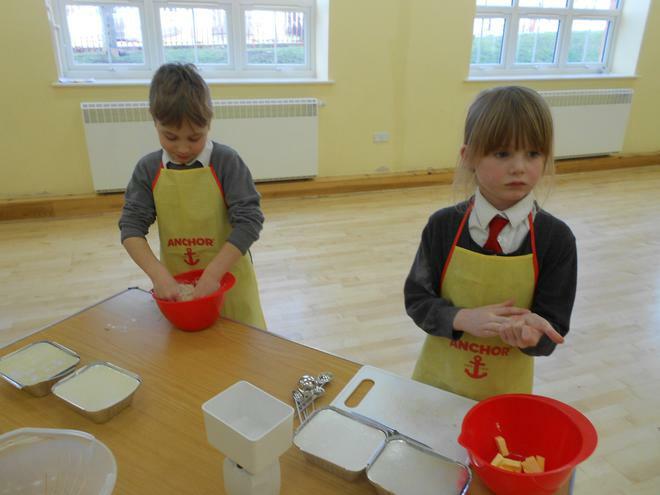 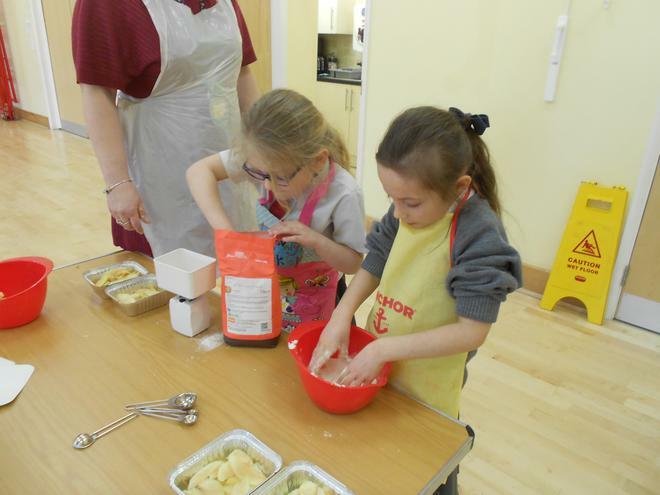 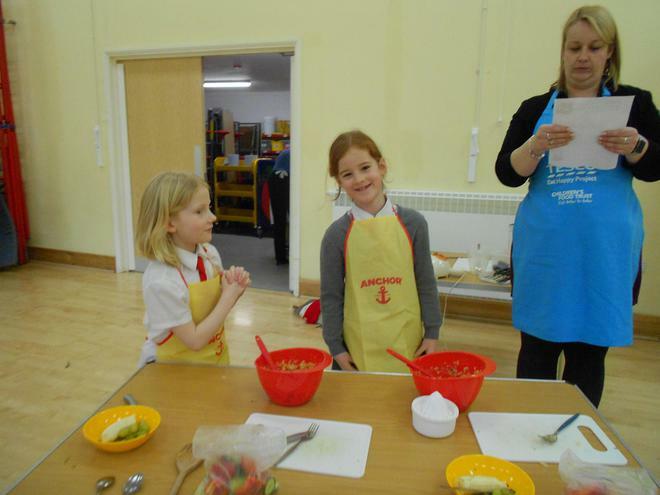 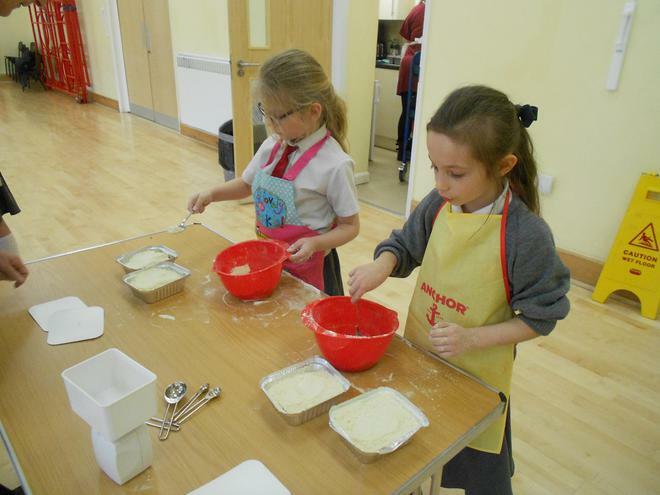 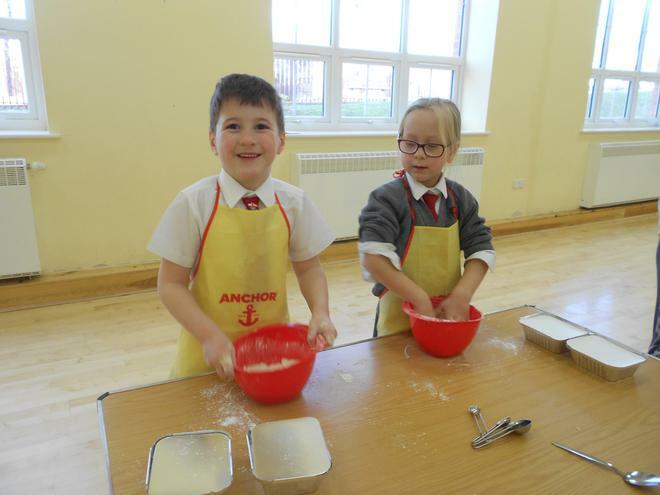 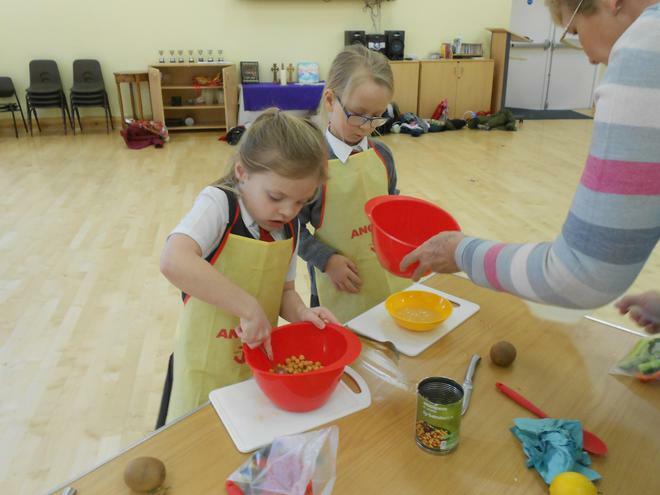 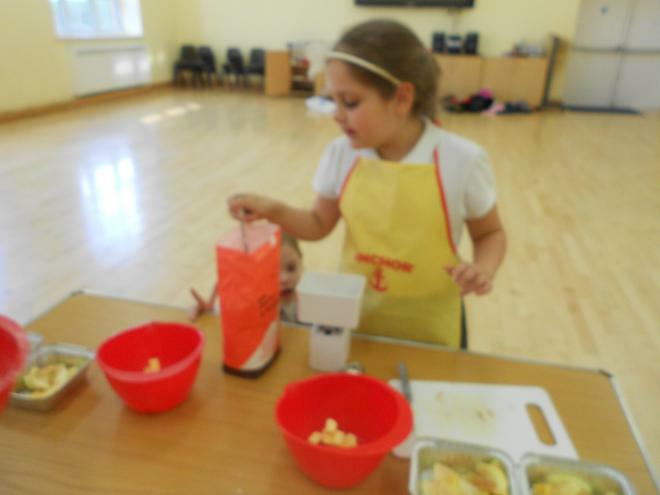 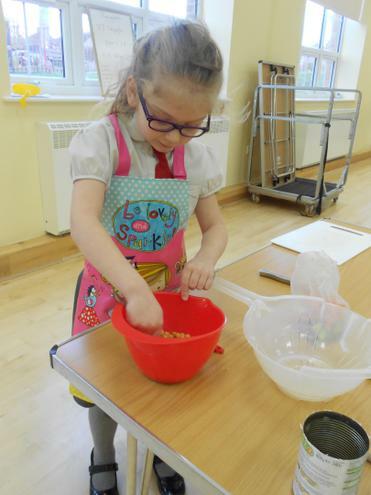 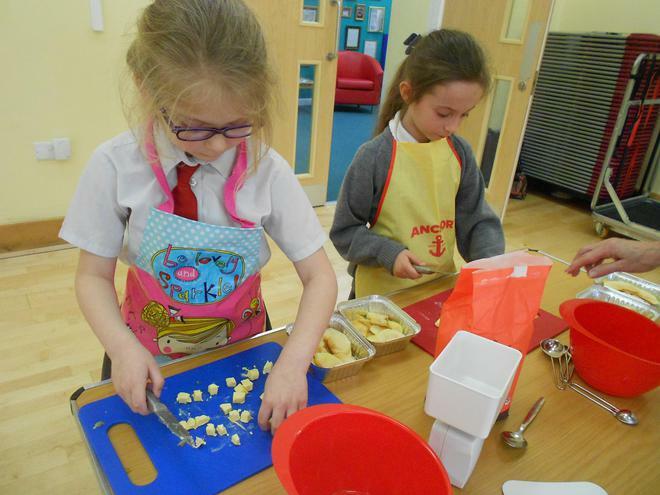 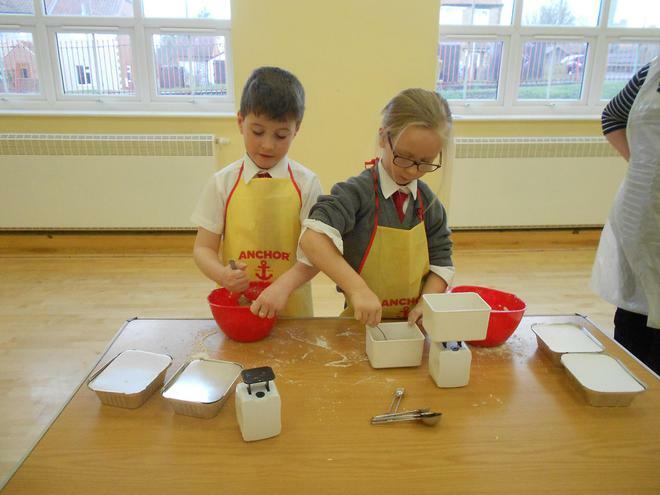 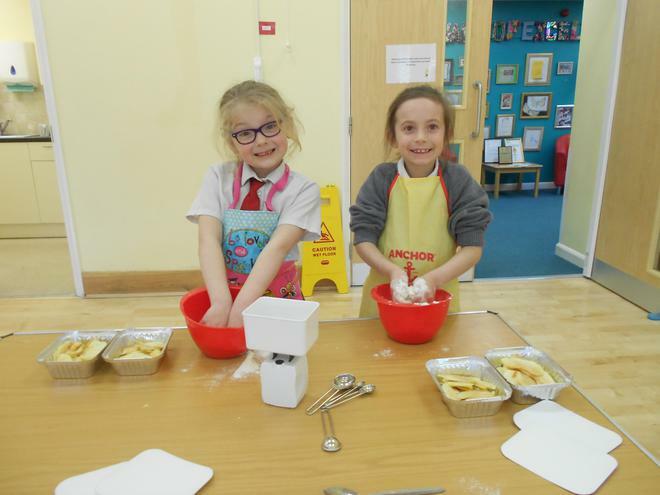 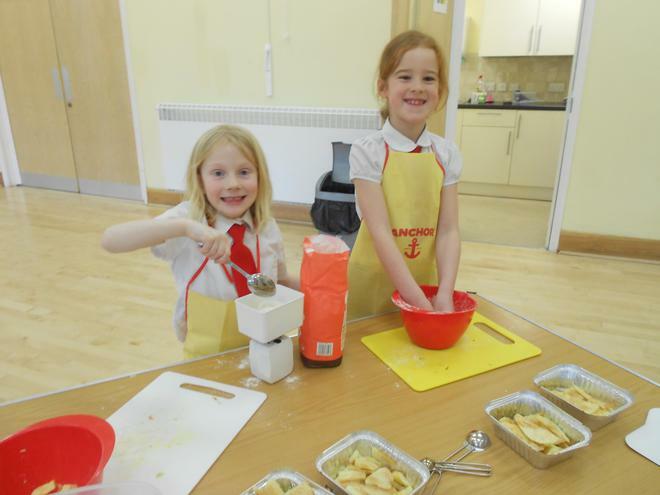 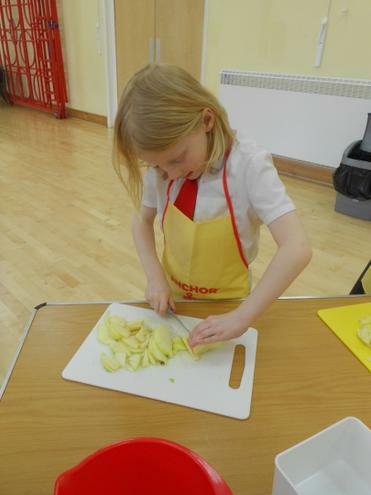 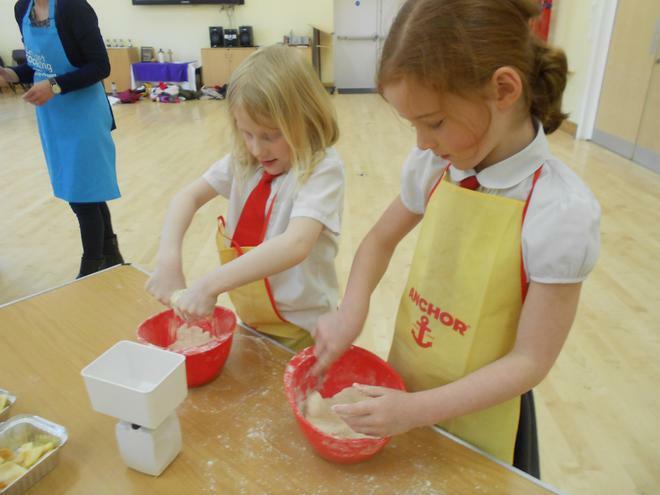 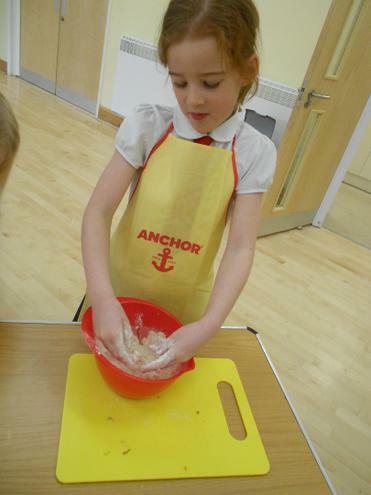 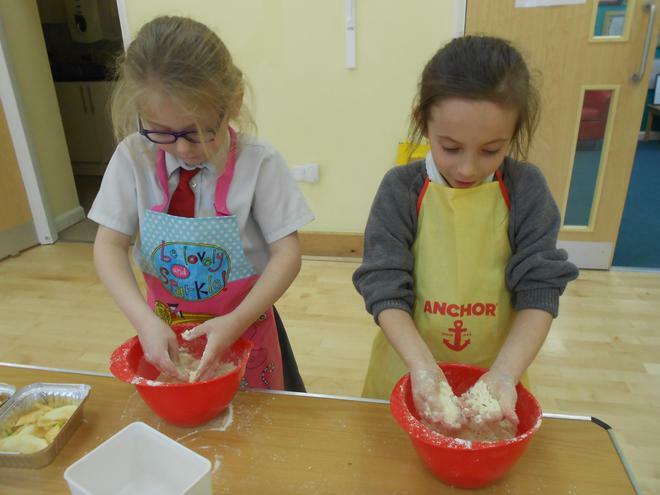 This week we made yummy apple crumble. 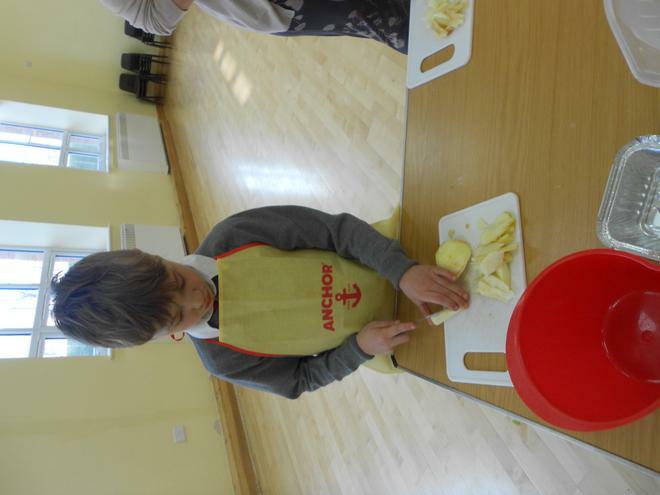 We used our skills from last week when we chopped the apples. 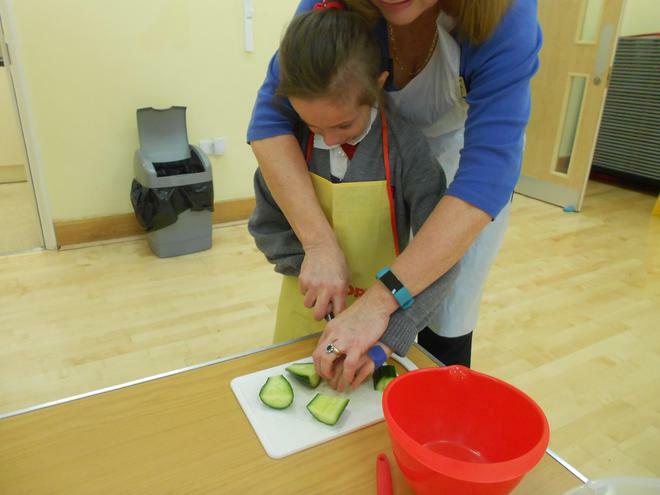 They were a little more difficult than the cucumber and pepper we chopped to eat with the hummus but we did an amazing job. 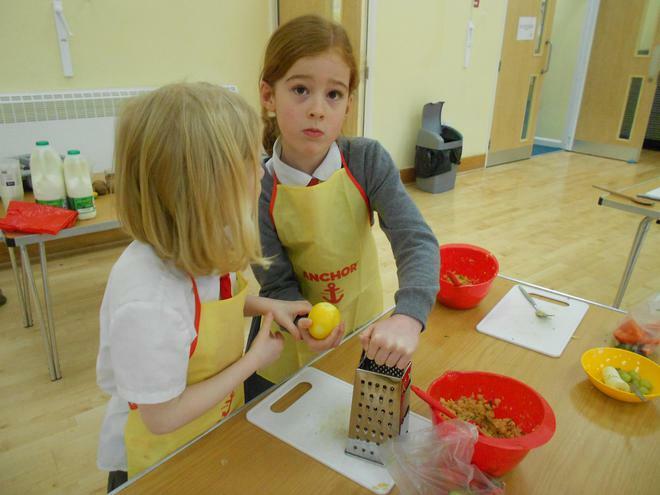 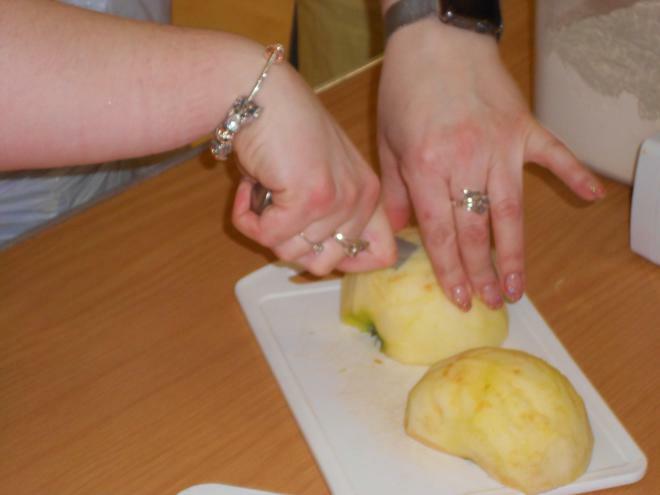 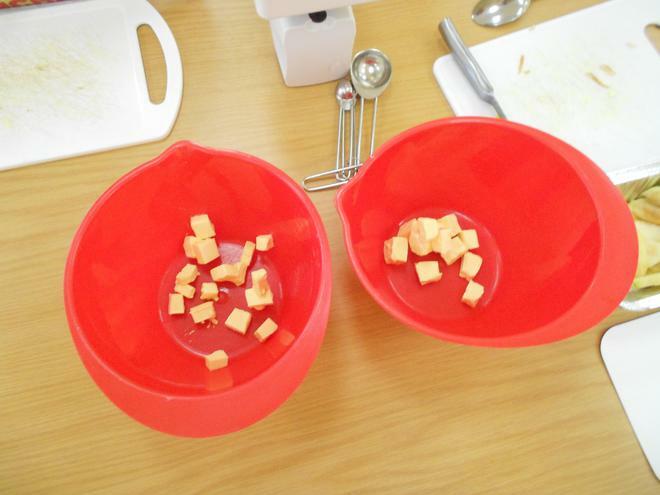 We then learned how to use the rubbing in method to make the crumble topping. 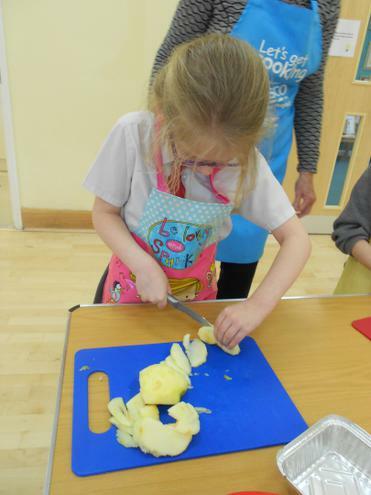 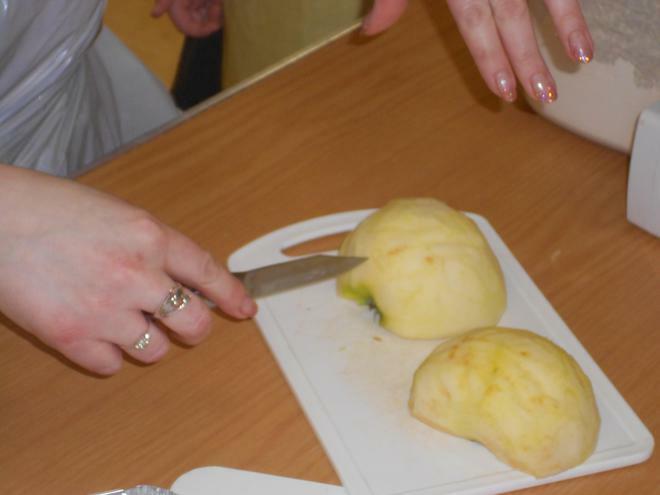 The amazing thing was that the apples were so big that we were able to take home two dishes of apple crumble to show our families just what brilliant cooks we are!